Can Coral Reef Conservation Through IVF Rescue This Ecosystem? 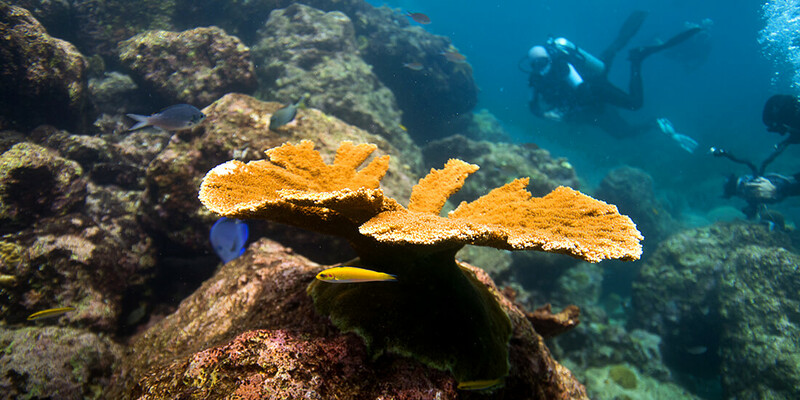 Success story: This elkhorn coral was outplanted by SECORE five years ago. Since then, it has grown into a mature colony, which now spawns with other elkhorn colonies in the waters of Curaçao. Courtesy SECORE International/Paul Selvaggio. 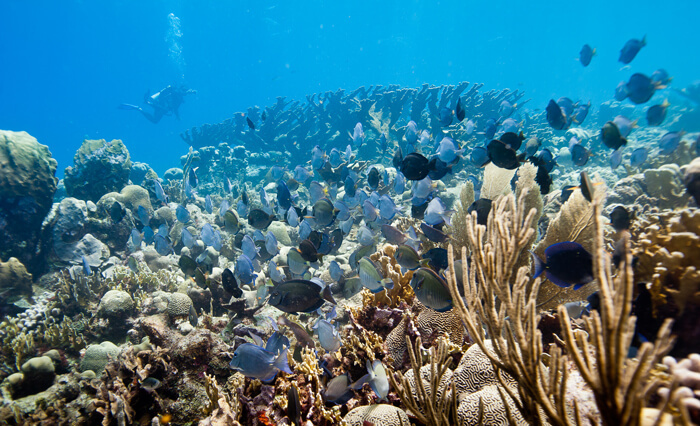 In addition to being bright and beautiful to look at, tropical coral reefs are vital to life. They make up only a small fraction of the global ecology, but they contain the most diverse ecosystem on Earth, providing home and shelter to thousands of animal and plant species. Many peoples’ livelihoods also depend heavily on fisheries, tourism, and coastal protection, which are all provided by healthy coral reefs. However, coral reefs are dying at an alarming rate, and climate change, overfishing, and pollution have impaired long-term coral reproduction. During the past 30 years, 50 percent of the world’s coral reefs have died and up to 90 percent may die in the next century if things don’t change—coral-reef conservation is an urgent priority. 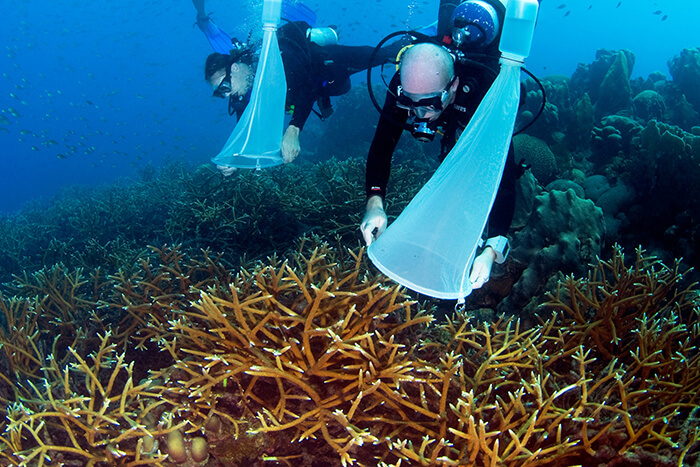 SECORE (SExual COral REproduction) is a nonprofit global network of scientists, public-aquarium professionals, and local stakeholders working for the protection and restoration of coral reefs. 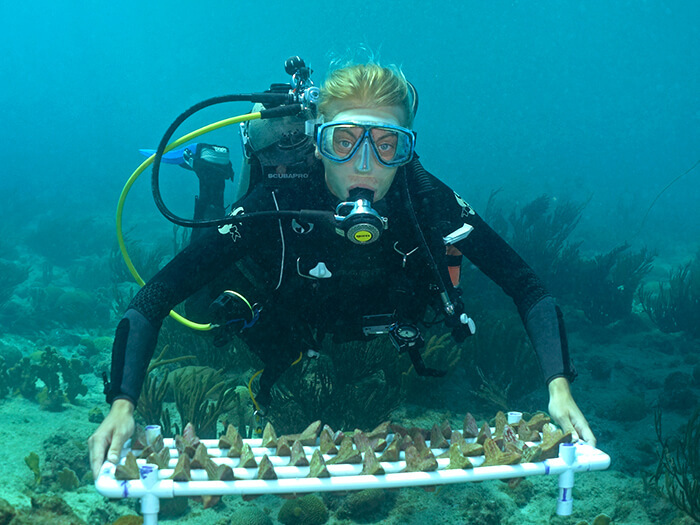 Through partnerships with the California Academy of Sciences (CAS) and The Nature Conservancy, among others, the organization is at the forefront of developing new methods of coral restoration through sexual reproduction. Corals are animals that are sessile, meaning they “take root” like plants but capture their food from the ocean water. Corals are colonial organisms; each is composed of hundreds to hundreds of thousands of individual animals (polyps). Coral larvae attach to oceanic rocks, forming various reef types that grow just centimeters each year, taking thousands of years to form the many of the largest coral reefs we see today. A SECORE diver inspects a reef in the waters of Curaçao. Although coral reefs cover less than 0.1 percent of Earth’s surface, they house more than 30 percent of total marine biodiversity. Courtesy SECORE International/Paul Selvaggio. SECORE and its partners are developing restoration methods that utilize corals’ natural reproductive processes. 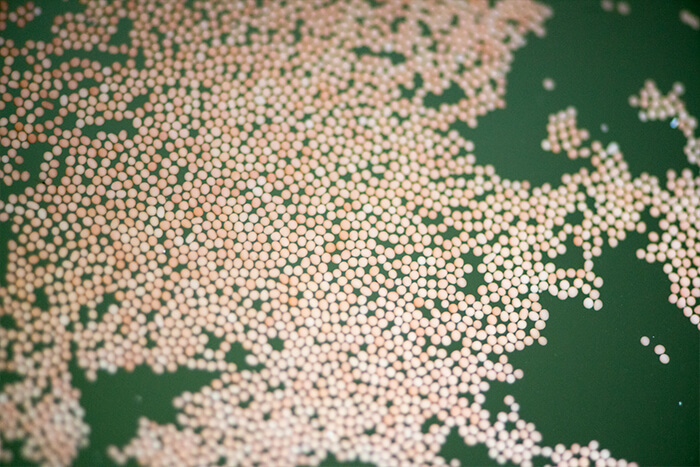 The teams collect eggs and sperm that some coral species naturally broadcast, fertilize them, then raise them in tanks until they become freely swimming larvae. The larvae are introduced to “seeding units” that mimic places on the reef where they would naturally attach. Once settled, these seeding units are outplanted onto reef areas in need of restoration. SECORE’s project and workshop manager, Aric Bickel, explains that one of the key hurdles to scaling restoration is reducing the cost of outplanting corals. “One of the ways SECORE is aiming to reduce these costs is by designing seeding units that do not need to be manually attached to the reef, but rather can be sown from a boat or other method, similar to how a farmer would sow seeds in a field,” he says. 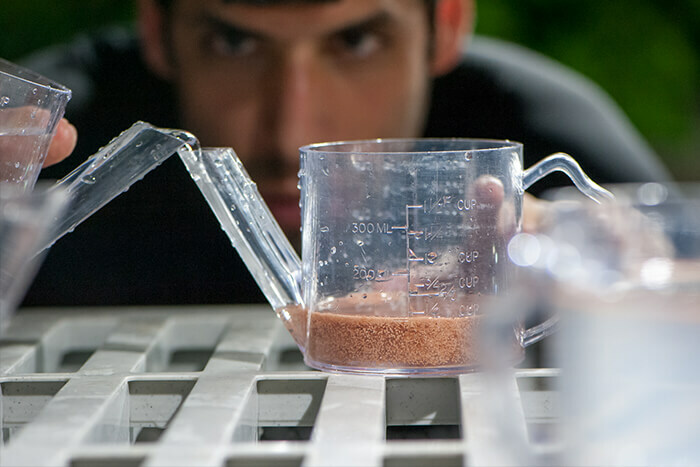 By using 3D printing, SECORE and partners aim to produce a million seeding units by 2021 and hundreds of thousands of units annually by then. Phase One of the projects is currently taking place in the Caribbean, with research and training hubs in Mexico, Curaçao, and the Bahamas. Close-up of a spawning coral in the waters of Curaçao. This coral is a broadcast spawner, which releases egg and sperm bundles instead of larvae like brooding species do. Courtesy SECORE International/Benjamin Mueller. 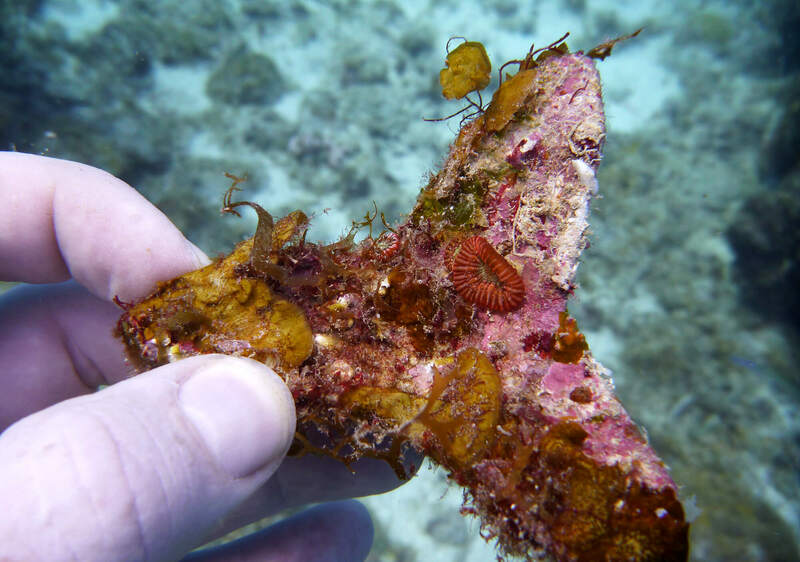 SECORE members collect staghorn coral gametes in the waters of Curaçao. Courtesy SECORE International/Barry Brown. Coral fertilization work at the aquarium of Xcaret Eco Park in Mexico. First, eggs and sperm are carefully mixed. Later, fertilized eggs must be rinsed with seawater to foster larva development. Courtesy SECORE International/Paul Selvaggio. 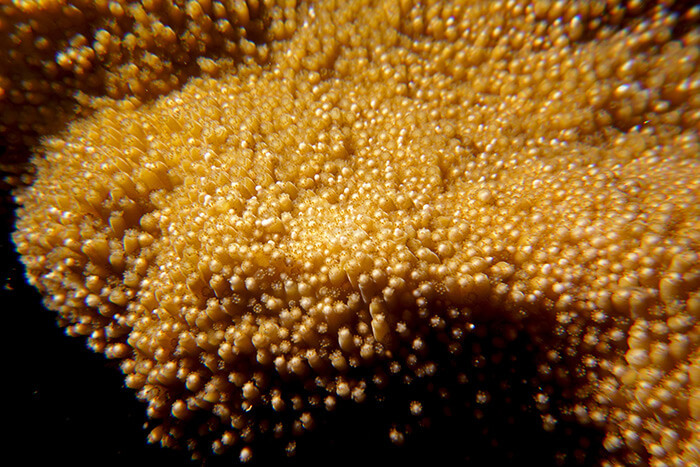 Close-up of coral eggs. Courtesy SECORE International/Paul Selvaggio. CAS is one of SECORE’s primary funders for restoration and research work, providing expertise and assistance in coral-restoration cases. Because SECORE was a relatively small team with limited engineering capacities, CAS enlisted the help of the Autodesk Foundation for support on the engineering end. In collaboration with Autodesk, SECORE looked into various design firms for assistance with the development of its seeding units. Close-up of a SECORE seeding unit with a boulder brain coral growing close to its center. Courtesy SECORE International/Valérie Chamberland. One of the biggest engineering challenges has been determining the best material and design combination for the seeding units. Ideally, the researchers need something that provides an acceptable habitat for corals, discourages competing organisms from settling on it, and is able to wedge itself into the reef without needing to be manually attached. For the past several years, SECORE and its partners used seeding units made of rough-surfaced cement. Unfortunately, that material proved too hospitable to other organisms that compete with corals. Several years of field trials and materials experiments led SECORE researchers to conclude that ceramic is a very promising material for these seeding units. For prototyping many of the designs that will be tested in 2018, Emerging Objects established a relationship with Boston Ceramics, a company capable of doing large-scale ceramic 3D printing. “Boston Ceramics is one of the few companies we’re aware of in the world that can potentially meet some of the demands for the number of substrates we’ll be using,” Bickel says. 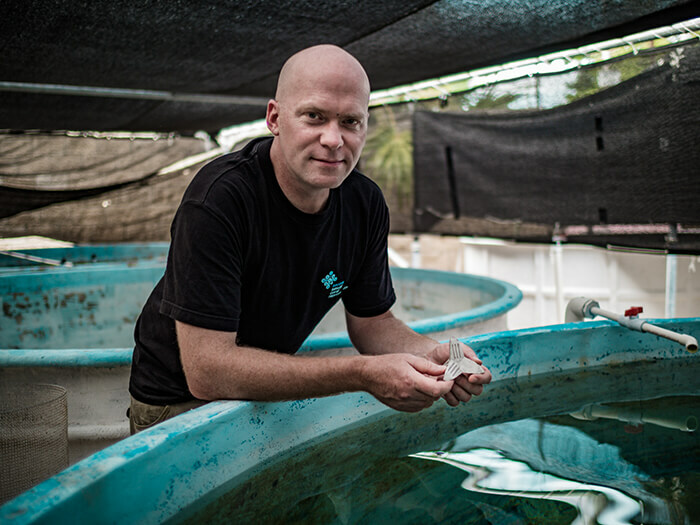 Dr. Dirk Petersen, executive director and founder of SECORE International. Courtesy SECORE International/Reef Patrol. 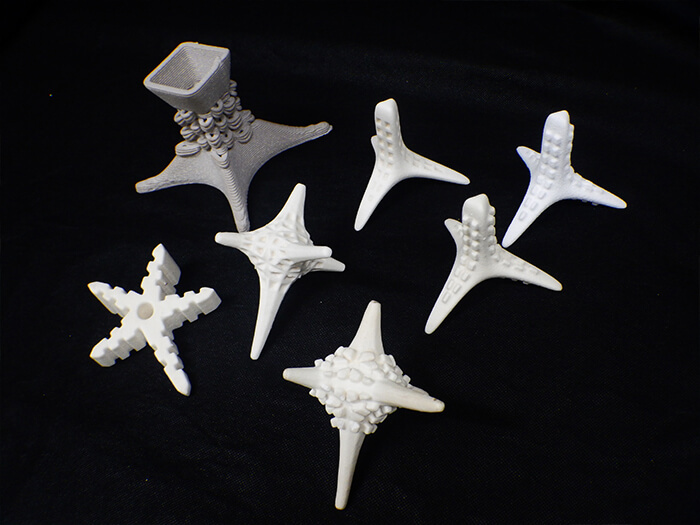 Examples of 3D-printed seeding units. Courtesy SECORE International/Valérie Chamberland. A SECORE diver with a tray of seeding units that will be outplanted onto a reef in the waters of Curaçao. Courtesy SECORE International/Benjamin Mueller. SECORE is growing its corals from embryos in small conglomerations of cells. Depending on the species, it takes several years for corals to become sexually mature. While young corals will provide habitat for fish and other species in earlier life stages, the project’s vision is long term. Learn how design can help create a better world. While coral reefs won’t return to normal overnight, scientific advancements are allowing researchers to aid in the reversal of considerable damage. Through advanced technology and cooperative efforts, there’s new hope for the world’s most diverse ecosystem.